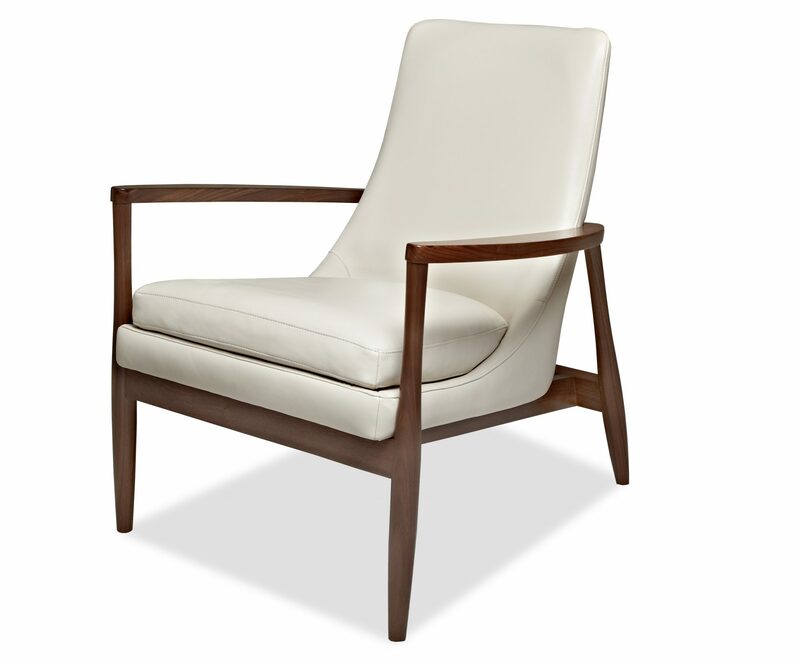 The Aaron accent chair is sure to be a statement piece for any room, a delight to look at from any angle. The solid walnut base securely cradles the contoured, comfy seat structure. With subtle curves and refined style, this accent can easily be paired with several different styles. 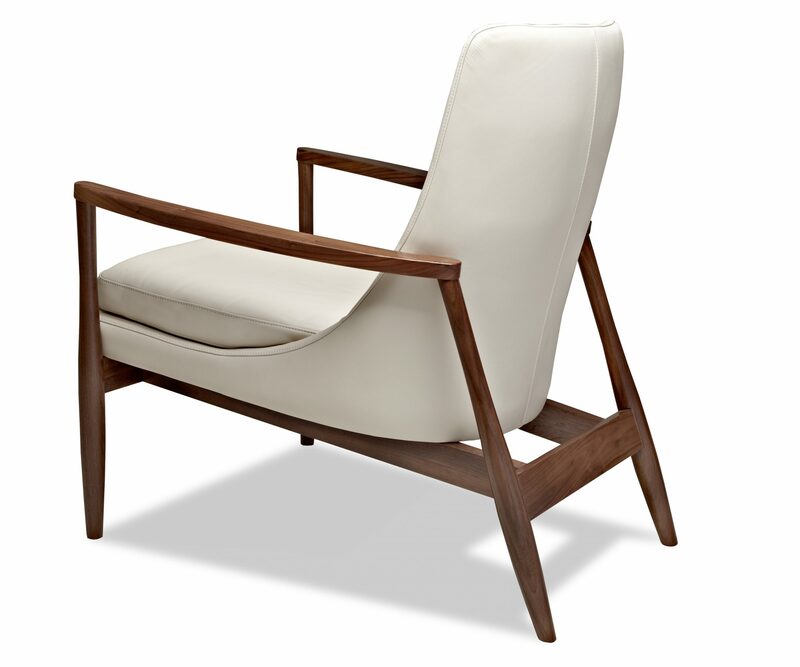 Solid wood frame: Ash or Walnut Tight back and loose seat cushions Single-needle top-stitched seams Cushions: Premium high-density, high-resiliency foam back and seat Lifetime warranty on frame and suspension; 5 years against defects in materials and workmanship for all other elements. Distinctive wood base available in domestically sourced solid American Walnut with a natural finish or solid Ash with a gray finish. We partner with American Forests and plant trees for every piece ordered.